Gaithersburg, Maryland, USA – April 01, 2019- GL Communications Inc. a global leader in telecom test and measurement solutions, announced today its insight into our new scheduler feature, which extends testing capabilities for 10 Gbps and 1 Gbps networks. 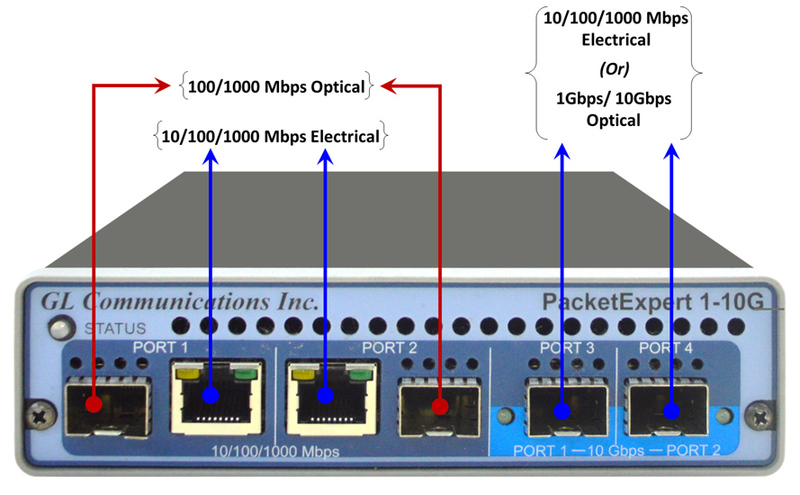 In this newsletter, we will discuss emulating IP WAN conditions using Scheduler Features in the IP WAN Emulator. IPNetSim™ emulates a bidirectional WAN IP Link with a 10 Gbps or a 10/100/1000 Mbps full duplex link. For each direction, incoming traffic can be identified into separate user defined streams (up to 16 streams for 1 Gbps pipe and up to 4 streams for 10 Gbps pipe). For each stream, a separate set of impairments can be applied. IPLinkSim™ also emulates a bidirectional WAN IP Link with a 10 Gbps or a 10/100/1000 Mbps full duplex link. Entire incoming traffic is treated as a single stream, and the impairments can be applied as a whole to the entire stream, in either direction. The PacketExpert™ 10GX hardware is more compact with reduced power requirements for high performance and adds 12-port user-configurable TTL trigger option as an important enhancement.